Back in 2014, the European Commission paid the Dutch consulting firm Ecorys 360,000 euros (about $428,000) to research the effect piracy had on sales of copyrighted content. 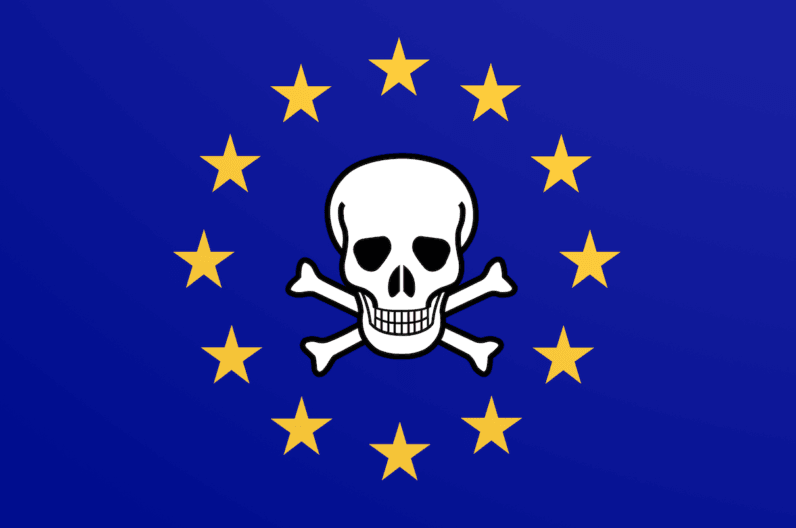 The final report was finished in May 2015, but for some reason it was never published– according to Julia Reda’s blog, the only Pirate in the EU Parliament. The report doesn’t settle the debate definitely for all “online copyright infringements” (piracy) but it points to similar conclusions as previous studies have done. It’s therefore not known whether the study will have a big impact on the current debate, but its publication delay raises serious questions. At first I was willing to give the Commission the benefit of the doubt that the study had simply fallen through the cracks, since the responsible department underwent significant restructuring in 2014, after the study was commissioned. However, now all available evidence suggests that the Commission actively chose to ignore the study except for the part that suited their agenda: In an academic article published in 2016, two European Commission officials reported a link between lost sales for blockbusters and illegal downloads of those films. They failed to disclose, however, that the study this was based on also looked at music, ebooks and games, where it found no such connection. On the contrary, in the case of video games, the study found the opposite link, indicating a positive influence of illegal game downloads on legal sales. That demonstrates that the study wasn’t forgotten by the Commission altogether. They also failed twice to meet the deadline for responding to my freedom of information request. One cannot avoid the suspicion that the Commission intentionally suppressed the publication of publicly-funded research because the facts discovered were inconvenient to their political agenda. The report could’ve provided valuable grounding for any debate regarding copyright issues. This especially serious when considering the EU’s upcoming copyright reform. The reform is extremely disputed, with some even flat out calling it a ‘dysfunctional proposal.’ But does Reda believe that the report would’ve affected the controversial copyright overhaul? It’s hard to say whether this study would have affected the upcoming copyright reform. It’s not the first study that calls into question the conventional wisdom that copyright infringement is always bad for business, and sadly, academic evidence doesn’t always impact policy making as directly as one would hope. This is currently being demonstrated in the debate about the Commission’s plans for upload filters for internet platforms and an extra copyright for news sites: Too many politicians are ignoring the overwhelming academic consensus that these plans would do much more harm than good. Despite all lip-service paid to supposedly evidence-based “better regulation”, industry lobbying and ideology appears to still have an outsized influence on the Commission’s lawmaking. TNW also reached out to the authors of the report and its contact person at the EU Commission. Those who we reached declined to comment. The story will be updated if any of the contacted persons decide to comment.